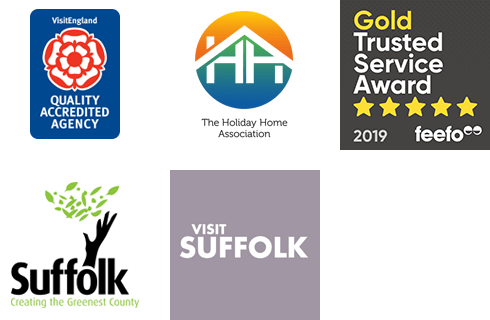 Suffolk is the perfect UK holiday destination for families, and staying in a holiday cottage is the ideal way to explore the county and enjoy everything it has to offer. After a long few weeks of hard work at school, what better way for the children and young adults to let off some steam and enjoy life than the great outdoors of Suffolk. We've made searching for the perfect school holiday break in Suffolk easy. Just select from the holiday periods below - we've listed the school term dates as set by Suffolk County Council and set the search criteria up for you. If you'd like further information about any of the holiday cottages you see listed, please give our friendly team a call. We're available from 8 am to 8 pm Monday to Saturday on 01502 722717. Wrap up warm and experience the wintry scenes in Suffolk for a break in February. Don't just treat yourself to a chocolate egg this Easter, come and explore Suffolk in Spring! Spring is in full swing and Summer is just around the corner... visit Suffolk for a fantastic break. Sunshine, sandy beaches, ice creams... what more could you ask for? Suffolk is simply splendid in the Summer. Take a look at our self-catering holiday cottages available during the October Half-Term week. Enjoy a festive break over Christmas & New Year in Suffolk.